Ekocamp is an international summer camp located in Canada, 120 kilometers north of Montreal, in the city of Mont-Tremblant. We are on the edge of a safe lake, surrounded by a beautiful, typically Canadian forest. This setting lends itself wonderfully to the supervision of outdoor activities. Our summer camp offers a French immersion program as well as an English camp, for kids between 10 and 16 years of age. In addition to various sports activities, kids may take language classes every week and visit the beautiful cities of Montreal, Quebec or Ottawa. The camp's French and English classes are optional and are given according to the level of the student with no more than 12 students per class. We are proud to be able to offer a warm and welcoming atmosphere as well as qualified staff who favor a personalized approach. 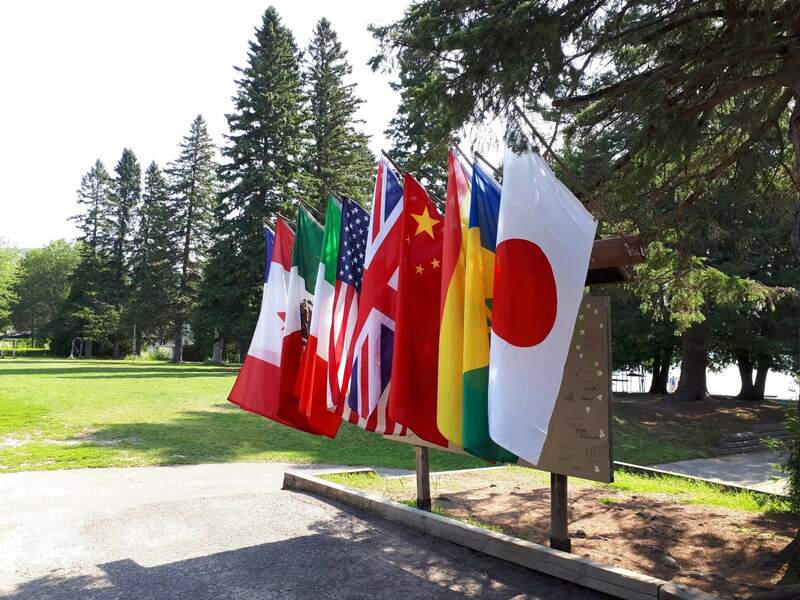 Ekocamp has been a summer camp for kids in Canada from all around the world since 1994. Each summer, about 15 different nationalities are represented. The summer camp is located alongside a large forest on the edge of a beautiful lake. Our building divides into two sections: one for boys, the other for girls; with rooms set up according to the kids' age and program (English or French). Camp facilities include two dining rooms, a kitchen with full-time staff, classrooms and meeting rooms. Each section and floor has their own bathrooms and showers. Each room can accommodate four to six kids (bedding included), has a sink and storage space. The staff's rooms are on each floor, assuring close supervision of the kids at all times. All staff members are trained in First Aid, and campers are always reminded of safety rules in order that they may enjoy the camp in a safe manner. Our camp is located just 3 km away from the town of Mont-Tremblant (Quebec, Canada), where two medical clinics are ready to receive our campers. In case of emergency, Ste-Agathe hospital, a fully-equipped regional hospital, is 20 minutes away from camp. Your child will have the chance to try and develop skills in various land-based activities (archery, rock climbing, soccer, etc. ), water activities (banana boating, kayaking, canoeing, paddle board, tubing, etc. ), and other activities (overnight camping, shows, nature hikes, etc.). To make the most of your stay, we offer cultural visits to the cities of Ottawa (Canada's capital), Montreal and Quebec city, as well as excursions to the Montreal amusement park, in rafting and to the waterpark.